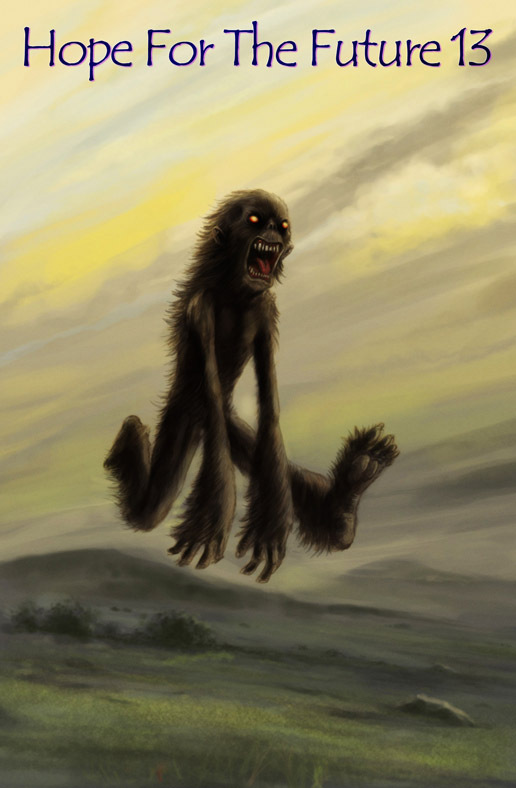 The long awaited Cryptozoology special delves into the murky mysteries of strange supernatural beasts at large in the British countryside and continues the intrigue of ish 12 (such as it was). This issue features a plethora of supernatural, mysterious and just plain weird beasts including dragons, alien lizards and a ghost monkey on the cover, (because an old man once told me that comics with monkeys on the cover sell better). Also includes the secret history of sixties garage rock and a critical reappraisal of Return To Oz. Obviously with loads of jokes, thrown in at random.